There are many parents who admit to trying marijuana at least once during their teenage years. While it may not seem like a big deal at the time, smoking marijuana could have a long term effect that passes on to offspring. According to a new study, when teens smoke weed they may increase the effect opiates have on their offspring many years down the road. This increased reaction could lead to increased risk of drug abuse. The study completed by medical researchers at the Cummings School of Veterinary Medicine, finds that marijuana use in teen years is likely to affect offspring years later. The rats in the study were only briefly exposed to a receptor similar to the THC found in marijuana. After the brief exposure, the rats were left unexposed to the cannabinoid until breeding. After breeding, offspring was given the option of choosing a saline or morphine chamber. The offspring of parents exposed to marijuana were more likely to choose the morphine chamber than the saline chamber, which lead researchers to believe the impact of that single exposure to THC-like cannabinoid was enough to alter offspring. This is just a preliminary study into the possible effects of marijuana use on future generations. 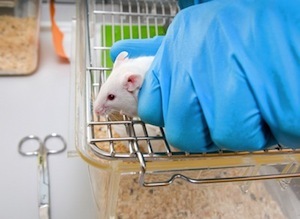 Researchers note that the rats were only exposed once, the possible impact of multiple exposures, even second-hand exposures, may be enough to cause even greater risks. Other studies have proven that exposure to cannabis during pregnancy is enough to affect development, increase the risk of depression and increase the risk of anxiety and anxiety disorders. Researchers need to move the study forward to include humans to truly understand the depth of risk associated with teen exposure to marijuana. Previous studies have revealed that teens don’t think marijuana is a dangerous drug. If this is the case, more and more teens may choose to try marijuana, which could have quite the impact on offspring, according to this study. Source: Tufts University. The Journal of Psychopharmacology. (Published early online) April 15, 2012.